Tripp Lite Heavy-Duty C19 to L6-30P 12-ft. Power Cord. Constructed with 3 x 12 AWG copper conductors, fully molded ends, 100-250V/20A rating. 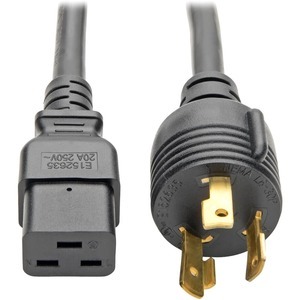 Heavy-Duty Power Cord, 20A, 12AWG (IEC-320-C19 to NEMA L6-30P), 12-ft.